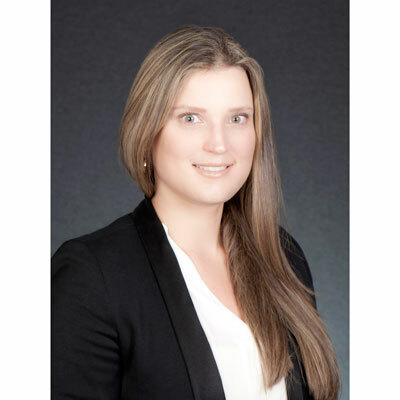 Location: Bogota D.C., Bogota D.C.
Jimena Acevedo is an Industrial Engineer and MBA with 12 Years of experience in the IT Industry working with channels from different positions across multiple countries and cultures. She is a channel and business development leader, who has developed a strong channels ecosystem to improve the overall partner and customer experience. She constantly challenges herself to exceed her goals while applying her professional background, analytical skills and execution. She is highly motivated, has strong attention to detail, is service oriented and committed to the team while executing with high standards of integrity. In her personal life, she is an adventurer, loves visiting new places, hiking, reading and spending time with friends and family. • Developed a strong channels account management team internally, aligned with the overall channels principles and strategy, to improve the ease of doing business with our company. • Work across multiple areas of the organization (legal, channels operations, channels programs, sales, presales teams, support teams and others), to operationalize the framework to manage the partners and at the same time support the region requirements. • Executive level presentations and partner engagements, in person or remotely, to increase relevancy and effectively communicate the strategic vision, partner programs and rules of engagement with a consistent message. • Partner enablement plan, to allow partners to differentiate themselves and become more profitable; and tracking of compliance. • Increase the adoption of channel programs in the region. By the end of 2017, McAfee will be the No. 1 security provider AND partner to over 80 percent of the Global 2000. I'm focused on: Strategic Engagement: Go deeper and align with fewer select set of partners who have the capabilities our customers are looking for. Mutual Growth and Profitability: We drive this through stronger account engagement, where we engage earlier and more often with our partners. Higher performing partners have the opportunity to earn more. Better Customer Outcomes: Delivering reference architectures to our partners and enhance pre-sales, technical sales, services and support training for integrated solutions and services. Angela Merkel. She has succeeded in a field that has been traditionally dominated by men, and against all the predictions since she lacks the characteristic charisma of politicians. With her character she led Germany and the European Union through many crisis, and is today one of the most powerful and influential women in the world. She is a woman with principles, strong in her character and a leader with honest behavior. Despite her position and power, she continues to enjoy every day pleasures. Technology is one of the most exiting career fields, constantly innovating and evolving. My first advice is to develop themselves professionally and technically to keep up the pace. Have strong values, be bold and empowered. Set a clear goal and not be afraid of the challenges, of the hard work, of giving an opinion, or thinking different. If you are passionate about your job, you will enjoy the journey. Despite the gender imbalance is notable in IT, I was lucky to find extraordinary women throughout my career that became my mentors and set an example for their passion and determination. Nelson Mandela (Morgan Freeman) in Invictus. He is not only a movie character, but also one of the most inspiring men in recent history. I would like to be in the shoes of this great man for one day. See the world from his optimistic eyes, generous, patient, determined but also forgiving. Be that leader who achieved what seemed impossible. Experience the profound emotion when the Springboks, the countries Rugby team, had a victory over one of his larger rivals during the 1995 Rugby World Cup hosted in South Africa that symbolized the reconciliation of a divided country. I would like to visit Singapore, strategically located in the heart of Asia, is one of the most important ports in Asia and a cosmopolitan city with fast development that welcomes people from different cultures. It has been described as one of the best cities to do business and one of the best places to live. It sets and example to other capital cities in the world for safety, cleanness, organization and ease to move around. I am attracted by this modern city by the sea with its Skyscrapers, its iconic buildings, plenty of green and amazing parks.